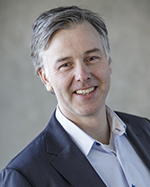 Knut Ording is presently working as Programme Manager within DNV GL Maritime's innovation unit Digital Solutions and Innovation (DSI). Managing a programme for Cyber Physical Systems and Software, addressing projects like Cyber Security, Future Systems Approval and Sensor Enabled Class. Prior to joining DSI Knut Ording was working as Head of Section for Systems and Software Reliability in Offshore Class, DNV GL Norway. The responsibility as head for the unit started with a 2 years period as Business Development Manager for Integrated Software Dependent Systems, ISDS, paving the way for the establishment of a section and global introduction of the ISDS services. Up to 1st August 2011 he was working as Maritime Manager and Area Production Support, SHE & Quality Manager for Malaysia and Brunei. Previous experience in DNV includes serving as Country Chair for Malaysia and Brunei, Managing the Admin Hub in Kuala Lumpur, Head of Section for Control Systems and Nautical Safety & Communication Systems in the previous Maritime Technology and Production Centre and working as a surveyor within Nautical Safety and Control Systems. Knut Ording has 14 years of seagoing, project and management experience from the Norwegian Navy prior to joining DNV (at the time). In the Norwegian Navy he served in different positions from Weapons Technician to Commanding Officer (Captain). He retired from the Royal Norwegian Navy with the rank of Commander in 2001. Knut Ording has his education from the Royal Norwegian Naval Academy in Bergen and the Norwegian University of Science and Technology (NTNU) in Trondheim, holding a Master of Science in Nautical Technology.